Beautiful hair is an essential part of looking beautiful. At the same time, it is a clear indicator of your overall health as well. Women are ready to try anything and everything to get thick and long hair. But, in most of the cases, these trials will end up in a more heart breaking result. Using safe ways to take care of your hair is very important in keeping your hair beautiful. Follow safe hair care tips and it will help you get the result that you expect. There is no need to run to a beauty parlour often to take care of your hair. While commercially available hair care products contain many chemical ingredients that may harm your hair, natural options are very safe to try. There are many natural methods that you can try at your home, which will be a safe option. Using cooking oils for hair care is one among these safe methods. Using cooking oil for hair care will help in eliminating frizz, preventing hair fall, and rejuvenating damaged hair. Here are some cooking oils for hair care that will help you revitalize your damaged hair. Coconut oil Coconut oil is the most commonly used cooking oil for skin and hair care. Coconut oil will act as a good conditioner for your hair. Coconut oil will not only help in conditioning your hair, but also help your hair to grow thick. Coconut oil has antiseptic property as well, which will prevent scalp infections. Sesame oil While considering cooking oils for hair care, the list will not be completed without sesame oil. Sesame oil is a good choice to be used for hair care. Massaging your scalp with sesame oil will increase blood circulation and thereby assist the growth of your hair. Olive oil If you are searching to find out the best cooking oils for hair care, Olive oil will be a good choice for you. While you are using a shampoo, it is recommended to apply some olive oil on the full length of your hair after the process. This will help in conditioning your hair. Mustard oil Castor oil is a popular choice among cooking oils for hair care. It is commonly used to get thick and healthy hair. Mustard oil is a good source of minerals like selenium and zinc. This oil is also rich in vitamins A, D, E and K.
Almond oil Using almond oil is one of the most effective hair care tips. Apply almond oil to the scalp and massage gently in circular motion. Wash it off after some time. Regular and constant use of almond oil can make your hair thick and beautiful. Sunflower oil Sunflower oil act as an emollient and it will help in conditioning your greasy hair. Sunflower oil can promote the hair growth and can prevent breakage. Among the cooking oils for hair care, sunflower is the next most common choice after coconut oil. 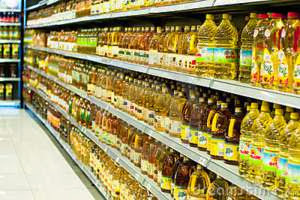 Canola oil If you have dry hair, the best cooking oil for your hair care is canola oil. Canola oil can treat the frizzy ends and rough texture of your hair making it smooth and shiny. Along with smoothening the split ends, canola oil will make a protective barrier that prevents further damages.